What is Lawn Aeration? To aerate means to expose to air. Lawn Aeration is the process by which the surface is punctured through the turfgrass into the soil creating small holes. These small perforations, exposing soil and roots. will allow more nutrients to be absorbed through the soil such as air, water and fertilizers. Lawn Aeration can be performed using a variety of tools or machines. Aerating your lawn is often overlooked by the homeowner gardener, but it is a vital step in maintaining good health and successful results to get your best lawn grass for Florida. “Thatch” is a layer of organic material that normally accumulates on lawns at the base of the turfgrass above the soil and roots. When this layer gets too thick or compacted, it can be a barrier that is preventing your grass from getting all the necessary nutrients to grow. Thatch can build up to unhealthy levels based on a number of circumstances. Too much Thatch build up will leave your grass feeling dry yet spongy. You can learn more about Thatch and ways to manage it in this article by Lawn Care Simplified. 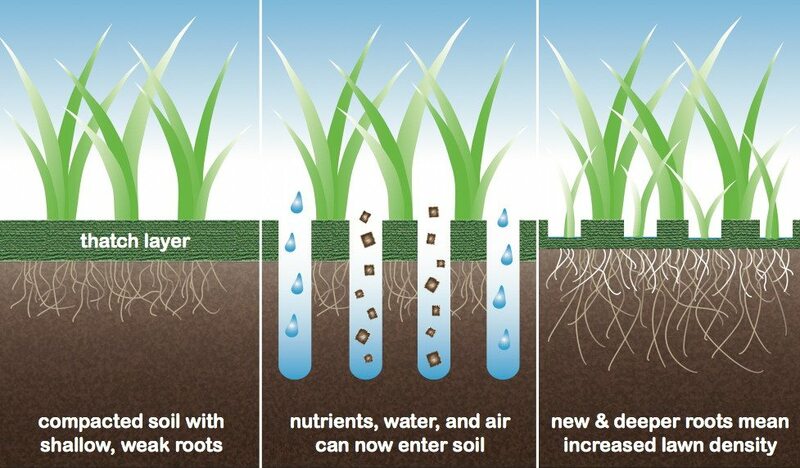 Healthier grass – aeration allows more air, water and fertilizer to get to the roots allowing them to grow and create better stability to your lawn with stronger roots. Controls Thatch – aeration removes that build up of material at the base of your grass but that sits on top of the soil. Reduces compacted Soil – aeration removes small areas of soil, allowing the density of the soil to reduce and soil to loosen. Efficient Watering – With aeration, water can more easily reach the roots of your grass, requiring less watering times. Prevent runoff – Aeration will allow pesticides and fertilizers to absorb better into the soil and prevent unnecessary runoff of these substances into other areas. 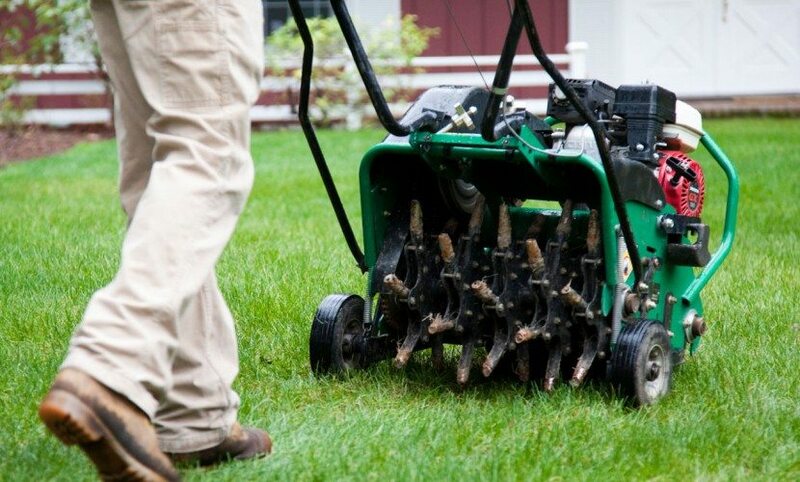 There are some things you will need to know before aerating your lawn. Mow. Be sure to mow your lawn to a short height of 1-2″ as you will not mow for 1-2 weeks after aeration to allow for germination. Water. You want your soil to be moist enough to penetrate. If you haven’t had a rain, be sure to water the lawn thoroughly. 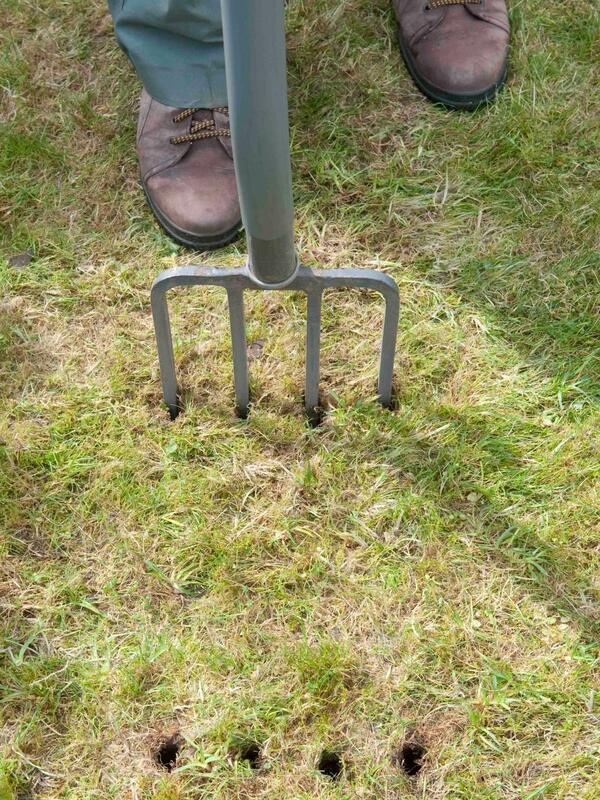 You don’t want to aerate in soggy soil however. Be sure you wait if you have just had a significant downpour and be careful not to oversaturate when watering. Mark. Flag or label all sprinkler heads, cables, cords or any other obstacles on the surface of your lawn to prevent damage from aeration tools or machines. 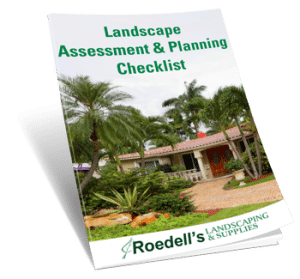 There are many options when it comes to the “How” portion of Lawn Aeration. 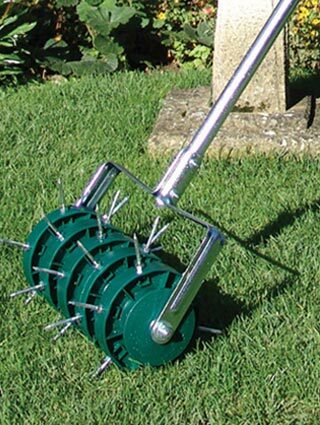 You can use a simple pitchfork or you can use aeration shoes which are both manual methods to aerate. This could be time-consuming and labor intensive. 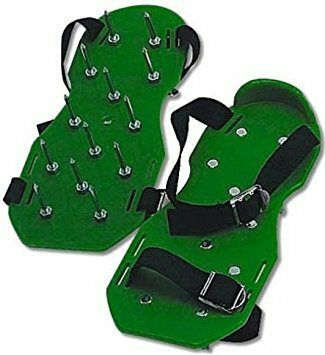 You can also use a tiner, which is a handheld yard tool or you can rent a core aerator from most lawn care professionals. You can also hire your local Orlando area landscape professional to come out and do the aeration for you. If you use a tiner or machine with a hollow coring device, be sure to leave the section pulled up on the lawn. There is no need to remove them as they will decompose quickly and will actually add to the benefits of aeration as they provide organic material back to the roots. The benefits of Lawn Aeration can be the difference between a gorgeous, lush carpet of turfgrass and a spotty, bare yard that is hard to enjoy! Some other tips when aerating are to keep your seed and fertilizer handy. Right after aeration is a great time to overseed or reseed and to feed your lawn with the appropriate fertilizer for your soil and turfgrass (be sure to get a soil test). Lawn aeration will allow the seed and nutrients to penetrate better into the underlying soil and create a great base for Summertime growth. While Lawn Aeration is key to lawn health, keep in mind that we have sandy soil here in Central Florida which typically drains well and doesn’t compact. 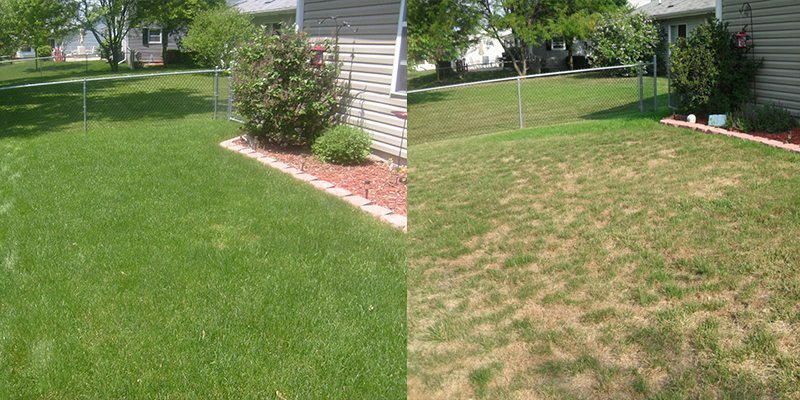 Lawn aeration can be done typically once a year or even alternating years if you have a particularly sandy area. Have patience, as the results of your Lawn Aeration will take a few weeks to become visible. In the meantime, make sure you water properly and sit back and watch the greening begin!